Whilst driverless cars might seem like something more befitting a sci-fi movie, interest in autonomous vehicles has grown substantially in recent years and the race is now on to build the world&apos;s first, commercially available driverless car. Significantly, it seems we are now closer than ever before to seeing this technology finally realised. This year&apos;s Consumer Electronics Show (CES) in Las Vegas, saw some of the world’s leading car manufactures introduce their autonomous concept cars, which could be ready for release as early as 2017! For example, Mercedes Benz showcased their futuristic concept car, the F 015, which can be operated both manually and autonomously. The seats of the car can also be rotated to allow face to face conversations when the vehicle is in driverless mode. Not to be outdone, Audi also introduced its own driverless vehicle at the event, the Audi RS piloted driving concept car, which uses a combination of laser scanners, video cameras, and radar sensors to navigate. 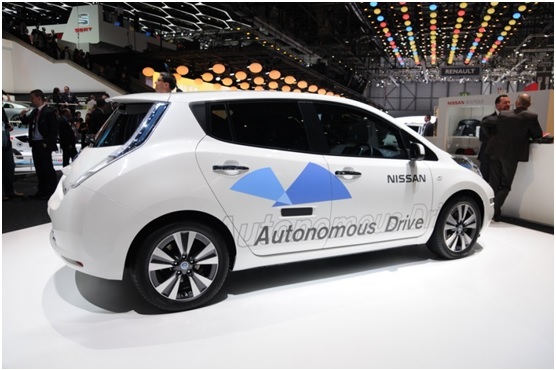 According to a recent report from The Engineer, NASA are also jumping on the bandwagon and recently announced their intention to join forces with Nissan to work on the development of an array of autonomous vehicle technologies. These could have applications both here on earth and in space. However, one company in particular, which has been ahead of the pack from the very beginning, is Google. Not content with dominating the internet, Google is planning on revolutionising the automotive industry too. They unveiled their own prototype driverless car back in May of last year and since this time have been working hard to refine their designs and bring their ideas into reality. Google&apos;s autonomous vehicle does not feature any of the conventional controls we have come to expect from our cars, or even a steering wheel; instead the driver simply tells the car where they want to go and can set off on their journey with the mere press of a button. These vehicles have already gone into production in Detroit and if recent reports are to be believed, Google expect these vehicles to go on sale within the next 5 years. It will be exciting to see what the future will hold for the automotive industry and where this growing trend towards the automation of vehicles will ultimately lead. Here at European Springs, we are a leading spring manufacturers and are suppliers of a range of high quality spring products, including tension springs to a variety of key sectors, such as the automotive industry. For more information about our range of products and services please do not hesitate to contact us, to speak to a member of our expert team.